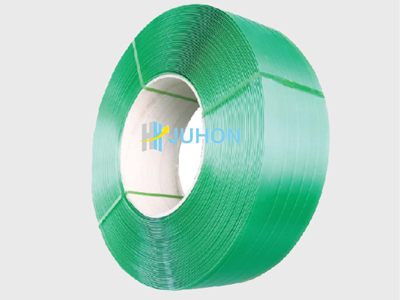 Jiangsu Juhong Strapping Manufacturing Co., Ltd. has been a professional manufacturer specialized in the production of steel strapping, PET strapping and strapping seals since 1997. Juhong offers the most comprehensive and perfect strapping solutions to different industries including steel, glass, nonferrous metals, stone, wood, etc. Jiangsu Juhong is now high-tech enterprises, private technology enterprises, AAA credit rating companies in Jiangsu Province. Whatsmore, Juhong is also the Changzhou ultra-high-strength alloy strap Engineering Research Center, Changzhou Zhonglou District Executive Committee units. Our high-tech products, high-tensile alloy strap and alloy buckle was approved by the National Torch Program project. Currently, the company covers an area of more than 10,000 square meters, and the construction area is about 16,000 square meters. The annual capacity for steel strapping which has 3 series, blue, painted and zinc coated is over 50,000 tons. The annual capacity for PET strapping is over 5,000 tons. The annual capacity for all types of seals is over 200 million pieces. Juhong strapping has been a leader with innovative techniques and advanced equipments in the strapping industry for nearly 20 years. The company won several national patents, and passed ISO9001:2008 and ISO14001:2004. Our concentration is on supplying quality strapping and seals for your strapping needs, and a preferential price, quality services to assure customer satisfaction and achieve a win-win aituation.